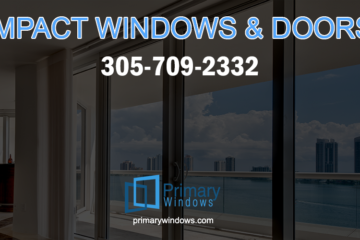 Impact windows Miami are also known as hurricane windows. They have the capacity to withstand all that comes with such a storm. The window you buy must be able to stay in one piece when struck by flying debris and to remain in place when subjected to the severe winds of a hurricane. They should also fit in with the overall design of your home. Hurricane season is nearly here. The destructive, unstoppable, howling, forceful, terrifying wind and rain that characterize this kind of storm are familiar to most Floridians. Miami is an especially vulnerable city, and has been subject to some of the most powerful hurricanes of the past. There is now a consensus in the scientific community that the strength and violence of these storms will only increase in the years to come; that coastal cities such as Miami will be battered without let up in the summer. Only the worst storms mandate an evacuation of the city. For the rest—the majority of cases—residents must simply ride them out in their homes. That means adding protection to your home. And your windows should be dealt with first because they are the most vulnerable in a storm. You need not ride out a hurricane in a state of panic and desperation. Putting in storm proof windows will allow you to go about your day indoors without trouble. With the right kind of windows you can view the entire thing from your living room. This is a much more effective approach than putting up storm panels. The latter will not necessarily protect your home against the hurricane. It is besides a time-consuming job. Depending on the size of your home, you may have to spend at least half a day doing so. Impact windows offer 24-hour hurricane protection. Not only are they impact-resistant, they will also help you save a great deal of money on your utility bills. If you are like many Miami homeowners, you prefer a panoramic, uninterrupted view of what is outside your house. This can come at a terribly high cost if you purchase the wrong windows or they are installed incorrectly. Working with a company that offers only the highest quality impact windows and employs installation professionals who possess the knowledge, skill, ability, and experience to do the job right can make a big difference in your monthly utility bills. The best impact windows have insulating capabilities, and they help isolate interior spaces from the weather. If you are planning on getting storm windows installed, you should begin the process straightaway. Doing so will allow you to take your time when choosing the kind of windows you want and the time it will be most convenient to install them. The team that arrives will have the tools and expertise to carry out even the most complex jobs. They will also know how to reinforce concrete and steel frames and build new ones that are suitable for your home. Take matters into your own hands with impact windows that will help you ride out the coming hurricane season in style and comfort. Get a quote with us today to see how we can help save you money! Get in touch with us today and get your appointment set for 24-48 hours from now!